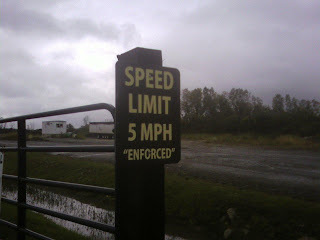 The “Blog” of “Unnecessary” Quotation Marks: oh really? This speed limit is totally "enforced" with our "enforcement." Thanks, Kevin! I might be tempted to drive 6 miles per hour!